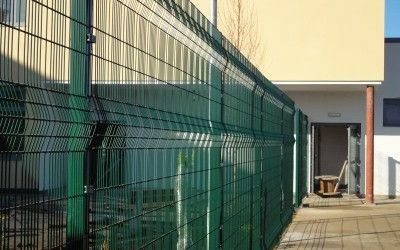 All our Mesh Perimeter Systems are Available with Matching Gates. Weld mesh often referred to as, welded mesh or weldmesh panels can be given rigidity in three ways. 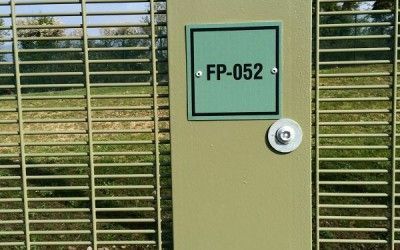 Our Kylemore and Kilbarry as well as Paladin are strengthened by means of V shaped crimps pressed into the mesh panel. 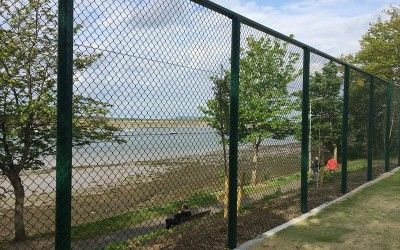 Kinsale is a twin wire mesh with horizontal wires running front and back of the vertical forming a rigid smooth panel. Kilmainham 868 Prison Mesh uses very close wires and clamps to the posts to keep the panel shape. Our ranges below can assist in making the right choice for your project. The basic mesh in our range, V-Crimps give rigidity. Suitable for low risk perimeters. Excellent visibility. Ex Stock. in 2400,1800,&1200mm with single and double leaf gates. Kinsale has a 200 x 50mm aperture, It is a strong flat giving excellent security. 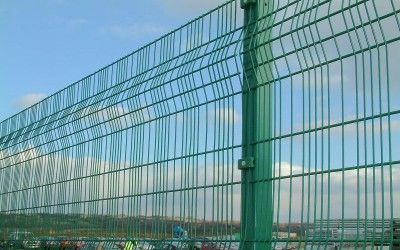 Ideal for securing perimeters where good visibility is required. 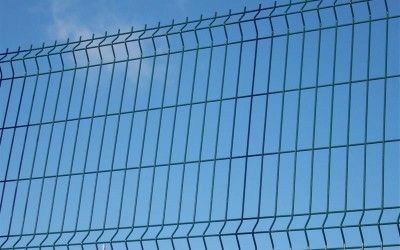 Indeed it’s the original brand name in mesh fencing. 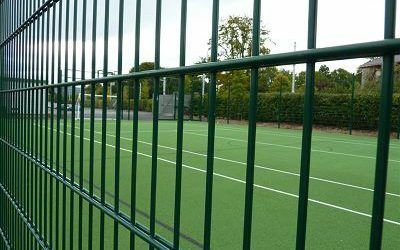 In appearance it is similar to our Kilbarry Mesh but Kilbarry is a heavier and stronger product. Used for for high risk areas. The closeness of the wire prevents foot or handholds, wire cutters cannot be used as they will not enter between the wires. 40 years ago this product was used for all aspects of fencing now its main use is in Tennis Courts as is perfect absorbing the ball impact and preventing injury to players.